I was wondering if there is any review/roundup on 120mm fans with airflows of ~80 cfm or more. The reason for which I find this important is that with my computer all the noise I can hear is being generated by the ~80 cfm in the power supply. The noise coming from the other 4 fans is negligible: a 120mm front fan (Chieftec D12SL-12), a 120mm CPU fan (Primecooler PCF-1202512B), a VGA fan (that came with my nVidia 8600 GT) and a 80mm rear fan (Arctic Cooling AF8025). I am running the front, CPU and back fans at lower voltages than the maximum specified. For example, take this situation: I have recently purchased a power supply with one 120mm Adda AD1212MS-A73GL fan (80.5 cfm, 38.0 dBA) on it that turned out to be extremely noisy. So I purchased a Thermaltake A2368, aka TT-1225A (78 cfm, 21 dBA) because of its noise rating and replaced the Adda fan. But... it turns out that I really can't notice a great improvement, in fact it seems noisier. Did I get the right fan? SPCR RULE NUMBER ONE : NEVER EVER TRUST MANUFACTURERS SPECS. That being said, a 80 CFM fan, however good and well-made it is, will never ever be quiet. The air woosh will always cover the motor and bearing noise. So there is no review here at SPCR for 80CFM fans because it's quite contrary to the point we are trying to make. Most people here try to use lower airflow fans and better airflow design to reduce noise. So it is not surprising that you could not notice the difference between the two fans. Thermaltake is especially known here to "lie" about their fan specs. The fact is, at 78CFM, 21dba is a physical impossibility so it is probably making much more sound than expected /advertised. So obvisouly you did not get the right fan, because a silent 78CFM fan simply does not exist. But your power supply should not be running full blast al the time so there might be a problem with the fan control inside the PSU. Or the PSU is simply badly designed. What power supply are we talking abouth by the way ? For your noise problem, you can either try another SPCR recommended power supply that has a quieter fan and better fan control / ramping up or try to swap your fan with another quieter one and see if the temperatures are still within a secure range for your PSU. I think you'll have more luck asking for this over at AnandTech or perhaps ask users of [H]ardforum. My power supply is a Seventeam ST-550P-AG, which has an automatic rotation control of some sort. The noise that I hear coming from it sounds like a hum with a given frequency plus some secondary (probably airflow) noise. Depending on what I do with the other fans from SpeedFan's window the frequency of the hum changes. It seems more like some noise associated with the bearings. I do not think it is running at full blast. Also, it does not sound like an air "woosh". I appreciate your suggestion about getting a power supply that has been reviewed by SPCR. Unfortunately I can't get any of them here where I live. When you say that I should swap the Thermaltake fan for another one, which one would that be? I am not sure if you noticed but that is exactly what I was trying to do and this is almost the title of my post. The original fan was 80 cfm, meaning that using a "silent fan" here would probably blow up the power supply. I disagree from you when you say that analyzing 80 cfm fans is contrary to the point being made at SPCR, I find this quite dogmatic. The same applies to the statement "the air woosh will always cover the motor and bearing noise". I really do not trust my ears for this task and as per the Thermaltake fan that I just purchased this seems to be false. But again, I really do not trust my ears for this task. Last edited by bowzee on Mon Feb 11, 2008 12:21 pm, edited 1 time in total. I am going to look at the sites that you suggested. I doubt that I will find reviews there in any way methodologically similar to the ones made by SPCR (because I "Googled" this quite a bit). It really would be nice if SPCR did this. Alas I know nothing about this PSU. To know exactly what noise we are talking about is there any way to measure the fan RPM ? usually there is a two / three pins connector to be plugged to the motherboard to report PSU fan RPM. Do you know this value. We would determine exactly if the actual rotation is bothering you or the woosh or even if the control circuitry is defective. If it is a low frequency maybe the fan is transmitting vibration to the PSU and case. Have you tried using grommets / soft fan mounts ? And how close exactly are the other fans ? Maybe two of them are too close together and generate turbulence ? Should not, but who knows ? It really depends on how far you are ready to go to experiment. I repeat that any fan that blows 80CFM will not ever be silent. If you want to use 80CFM fan, any ball-bearing fan will do as the woosh will cover any kind of non-defective bearing noise, especially in an enclosed PSU prone to turbulence. If you don't trust me, feel free to browse around the forum for other opinions but be prepared to be dissapointed with any 80CFM fan noise-wise. If you want to tinker a bit, you can try other slower fans or even couple two fans of you are ready to go the DIY route. You have a right to disagree. And I like the bold emphasis. But it is more a matter of physics. This forum is dedicated to silent computing so if you want reviews on 80CFM fans, SPCR is not the right place to ask simply because they are NOT and will not ever be "silent". Seraphyn pointed to other forums which are more suitable if you want 80CFM fan reviews. But as i said, browse around the forum and see if most trusted posters believe a 80CFM fan can be quiet. Or you can choose to trust thermaltake again and buy their wind turbines. If you really want a beefier fan, then there already are a lot of threads even on this forum on higher speeds fans you could seek out. But no one will pretend they are silent or even quiet. The same applies to the statement "the air woosh will always cover the motor and bearing noise". I really do not trust my ears for this task and as per the Thermaltake fan that I just purchased this seems to be false. But again, I really do not trust my ears for this task. If your bearing noise is so high it covers a 80CFM woosh then your bearing is defective and the entire fan should be replaced. And remember the Thermaltake fan uses a sleeve bearing and those do not take kindly being put in the vertical orientation. They will wear out quickly and most of the time generate more noise. Also regarding what you are calling lies being told by the manufacturers, I also find this dogmatic. Until I get a figure measured by some reputable person/entity, as SPCR for example, I have no other way to know this. Dogmatic ? No i would call that marketing. No company will ever sell fans pointing how noisy they are. It's all a matter of the methodology used for measurements but few companies will not even bother giving you this information. And some companies earned trust from people here using ratings not so far from the truth. Thermaltake is not one of them. Search this forum using their name and see how much they are loved here. Happy browsing and tinkering ! Again, thank you for your reply. I believe that the comment you made regarding turbulence issues will be very helpful. This might be the reason for the rotational speed variation of the power supply fan. Solving this may eliminate the noise problem without even addressing fan-specific noise considerations. I don't know where to start, but I guess that Google must give me a direction. 1) I tried to get some Vantec dampeners for power supplies and fans (VDK-PSU, VDK-120, etc.) or similar and I found that a few merchants used to carry them here but they have run out. And Vantec does not have a rep. here anymore. So, using a caliper and a drawing program I was able to draw the gaskets, then I glued them to 2.5mm thick EVA foam so I could cut them out using a scalpel. I made one for the power supply fan, one for the power supply / case junction, another one for the 80mm back fan and two for the 120mm front fan. The 120mm power supply fan gasket did not fit. I installed the rest of the gaskets and I did not notice any difference (of course the power supply fan is making most of the noise). 1a) I could not find any rubber grommets and I have not thought about any simple way of making these. 2) I tried to find the Acoustipack or similar here, but again I found nothing. So I decided to make something similar myself. For the top, right and bottom sides I manufactured a "sandwich" with one 2.5mm EVA foam layer, one 1.5mm rubber layer and one 1.5mm EVA foam layer. For the left side I used one 1.5mm EVA foam layer, one 2.5mm rubber layer and one 10mm 33 lb/ft^3 density foam layer (probably polyurethane). To glue everything together I used 3M 77 spray glue with the 1.5mm always glued to the case. This really worked, but less than what I expected. As per the dogmas, they really can't be discussed now, can they? Last edited by bowzee on Mon Feb 11, 2008 3:02 pm, edited 2 times in total. The original fan was 80 cfm, meaning that using a "silent fan" here would probably blow up the power supply....I do not think it is running at full blast. as you yourself noted, 99% of the time the PSU does not require the full 80CFM. in fact it probably never requires 80CFM, the engineers are just building in a safety margin. so it is relatively safe to swap in one of the SPCR recommended fans (or Scythe Slipstreams, which are new and highly favoured in the Fan forum). of course it depends how much power you are actually drawing from your power supply, listing your components would help us estimate your maximum power draw. your power supply can provide up to 550W, but in normal use you are probably only using 100-150W. so the power supply won't be putting out much heat, which makes a low CFM fan more feasible. What do our opponents mean when they apply to us the label "Liberal?" If by "Liberal" they mean...someone who looks ahead, who welcomes new ideas without rigid reactions,who cares about the welfare of the people, who believes we can break through the stalemate and suspicions that grip us in our policies abroad...then I'm proud to say I'm a "Liberal." Does the PSU have thermal fan speed control? If so, then you really want to know its thermal behavior. This is why SPCR measures the voltage at the PSU fan while it's under various loads -- it tells us how much voltage is going to the fan at any given load (or more accurately, intake air temperature). 99% of current computer PSUs have thermal fan control. Most of these are not very good because they are linear. An increase in load/tempartures leads to a direct proportionate increase in fan voltage, and the relationship is linear from cool to very hot. This usually means most PSUs are overcooled (more or less). Try to measure the voltage at the internal PSU fan leads, at least at idle. I know this is not easy if you're not handy with electronics... Probably not safe if you're not handy. But you've already gone in there and swapped out a fan. You can at least make a guess -- with either the original fan or the new one, did the air exhaust ever feel hot or warm on your hand? If warm, this might mean it reached a bit above skin temp. If hot, it could be >45C or higher.... and if the latter happens a lot, then you should probably leave the PSU fan alone because it needs the airflow. But it probably runs cool if there's that much noise (and probably airflow). So as jaganath said, swapping a cool running PSU's fan with something like a 1600rpm Scythe is probably perfectly safe. The noise from your system changes when other fans speed up/down because of natural interactions with airflow, pressure, etc. But the hum you think comes from the fan could well be coming from somewhere else: The HDD is a primary source of 120Hz hum in typical cases where the drive(s) is bolted to the chassis. Check it out before you make other changes. See the sticky in the newbie forum: FAQ for Newbies -- Identifying the noise sources. I guess now, with jaganath's / MikeC's / my posts, you have all the elements you need to decide what you should be checking and which way you want to go with modding your PSU. For vibration / sound dampening, you should peruse the dampening section of the forum, maybe you will get ideas to improve your build. Listing your components would probably help you to estimate your power requirements and needed cooling for your PSU as jaganath wrote. I seem to have managed to reduce the noise by improving what was probably turbulence. All that I did was unblock a small vent-hole in the case adjacent to the power supply and increase the rotation of my CPU fan to 60% (1500 RPM) instead of 30% (750 RPM). The vent-hole is located between the power supply and the Arctic Cooling 80mm fan. I suppose that the power supply is sucking in air though it, which in theory is probably undesirable. About using a voltmeter, yes, got quite a few flight hours on these issues, more than what I think is sane. I am going to leave the machine running throughout a day and if I still find the power supply noise too loud I will generate a graph of power-supply-fan-voltage in function of CPU-fan-rotation and post it here. 1) The Scythe fan is considerably more silent than the Thermaltake one (implicitly, for the same airflow, since it is closed-loop-regulated by the power supply). 2) When I close my computer's case I hear a lot more airflow and less hum. But, although it is not too loud, the hum is definitely there. Using a tone generator I found that the fundamental frequency is about 250 Hz at the quietest condition. And pretty annoying at night. 3) When I open the case and leave it open the hum disappears completely, but then of course I hear more noise from the CPU and VGA fans. The VGA fan probably uses a bearing which gets muffled almost completely with my "homemade Acoustipack" when the case is closed. Nevertheless, leaving the case open is less annoying. I am far from being satisfied with the noise levels generated by my machine, but they seem to have improved considerably. I really do not know where to go from here, probably the solution will be to exchange my case for a full tower (so the CPU and power supply fans get further apart) or maybe for an Antec P182 or similar (which I will have to import). Finally one thing that you may not be aware of is that the AIR in any enclosed (or semi-enclosed) space has resonances or peaks. 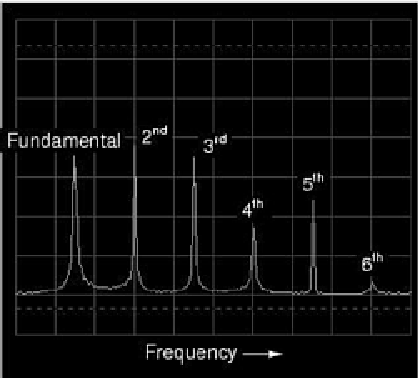 Those resonances get "excited" when there are sounds near the frequencies of the resonances. Then you get an increase in "tonal" noise (hum is one type of tonal noise). The fact that the 250Hz hum occurs only when you close the case suggests that it is caused by cavity resonance. You can reduce it by changing the volume of the air in the case and/or adding sound absorbing materials. The latter will actually have an effect on volume, too. But you already have some foam in there... You could try playing around with different types/quantities. Also, if you have a hard drive that's hard mounted to the chassis, it will also cause a hum. With a 7200rpm drive, this is at 120Hz and multiples of that (which 250Hz is very close to). Soft mounting the HDD can reduce its vibrational noise almost completely. That's a whole nuther topic you should research in the storage (and case) forums, and in the storage section of the main SPCR site. PS -- if you indicate your location correctly, you might find others w/ experience near you who can advise. The whoosh of air in a 80 cfm fan is rotational noise. it comes from the fan's blades cutting into the air. At 80 cfm the "rotational whooshing" will always be louder than that of the motor. In a psu the air has a lot of obstacle to go around so any 80 cfm psu fan will never seam quiet, let alone silent. Isolate the psu's air intake so its fresh not hot, and replace the fan with on from the recommended spcr list. Also open/remove restricted vent guards. Last edited by xan_user on Thu Feb 21, 2008 6:55 pm, edited 1 time in total. The issue that I am having, IMHO, is caused by an interference between the power supply fan and the CPU fan, which are about 3cm (an inch or so) apart from each other (turbulence?). This interference causes the power supply fan to work with less efficiency. When I close the case, the internal temperature rises slightly and the power supply fan increases rotation accordingly (it takes a few minutes) and gets noisier than what would be possible without CPU fan interference. I guess that this is pretty much it. - The 250Hz sound definitely comes from the power supply, in fact it varies frequency, which I can change easily by covering the the intake or outtake vents. The pitch is lower than the one generated by the Thermaltake fan. - It does not seem to be a combination of frequencies, that would generate interference, which would be audible. - About resonant cavities, I am not sure if you are trying to state that the 250Hz noise may be proportional to the airflow and not rotation of the fan. That is not my observation, when I obstruct the vents I mean. On the other hand, if the noise varies only with rotation and not airflow, I would call it rotational noise and consider grouped with the bearing noise or whatever else that is related to rotation. - I agree with you when you state that the whole case is probably resonating slightly at 250Hz. But this is something I can't fix, I can only minimize, as you suggested. The best solution here is really to not generate too much of the frequency in the first place. - All of my 4 internal hard drives are mounted on Zalman ZM-2HC2 heatsinks / acoustic isolators (I have been using these for a few years now), I really don't think any significant noise is coming from there, in particular nothing that would contribute to the 250Hz. I can hear the seek noise now, for the first time, after I installed the Scythe fan. I am not seeking for nearby help, although I do thank you for suggesting this. So far talking to you guys has been excellent. About replacing the fan, well that was my suggestion, as per the title of the topic. It turns out that SPCR does not have any reviews on 80cfm fans. I used an 88cfm Scythe fan, because jaganath suggested this above. About the rotation noise being louder than the airflow noise, I agree with you from what I have observed, for the ~80cfm fans I have tested. But this is not a consensus, Blacktales seems to think the exact opposite (read above). I think that the best solution is to test this instead of trying to make extensive hypothesis about the subject. I had thought about the fresh air for the intake of the power supply, I just can't seem to find a way to implement this and I can't think about how I would get rid of the hot air from the case. I will think about this. It would be nice to have measurements for these phenomena. No that's not what I mean. Cavity resonance is what causes your voice to sound different when you sing in the shower instead of outdoors. It's the AIR in the "cavity" (of the case) that's accentuating specific parts of the noise. I disagree strongly. I've examined, tested and used the Zalman devices you mention, and they are terrible in reducing HDD vibration induced noise. Try unplugging ALL your HDDs and booting your system into BIOS. You'll hear what your system sounds like without the HDDs' vibrational noise. "There are three kinds of lies: lies, damned lies, and statistics." attributed to several people, not sure who said it first. Anyway the point of my post is to say you are wrong about SPCR not testing a fan that does 80CFM. In fact they tested one that does 100CFM or thereabouts. I'm not going to say that you can't find a quieter fan that will do those CFM but I am saying there is no magic in the Nexus fan. Most fans at 50 CFM will sound about as loud as any other fan at 50 CFM. 12v, 33 [email protected]?? 1,600 rpm 88.11CFM are the claimed specs for a Scythe slipstream which I do expect to be quieter than the ACT-RX and the Nexus fan quoted above (if you got all three fans running at the same CFM) but without knowing how the Scythe fan was tested even those numbers are suspect. I trust Scythe to make a decent product. I don't trust them to test or market CFM or dBA numbers in a accurate, reliable, comparable fashion. Please put a country in your profile if you haven't already. This site is international but I'll assume you are in the US if you don't tell me otherwise. Seventeam ST-550P-AG seems to be sold in Brazil so I'm assuming you are in or near Brazil. What kind of case is it? Is it a Chieftec/Chenming case? Can we assume it is in air conditioned space or are you dealing with very high ambient temps? I really have no means of running a test with my disks unplugged because I use SpeedFan to regulate the speeds. I do appreciate your the fact that you tested these and concluded that they are not good for insulating or absorbing the noise. I really do not have much of an option because the main purpose of these is to help cool off the disks using the front fan. I was not aware about the test made by SPCR with the ACT-RX fan, thank you for the information. I do not see why you think that I am wrong, if you read what I wrote above you will see that there are significant differences between the three high cfm fans that I tested, and therefore I think that your generalization is most likely imprecise. But there is no way for me to confirm this without some sort of scientific test. As per what you are calling "lies", again, I prefer some data to no data at all. Reliable data, of course, would be best. I do not have air conditioning because I don't need any. Usually the hottest temperature on hottest day of the year here will be below 40C (around 100F). And the temperatures here never go below 0C (32F). I was not aware about the test made by SPCR with the ACT-RX fan, thank you for the information. I do not see why you think that I am wrong. The sentence where I used the word "wrong" was specifically about the SPCR testing of a high CFM fan. As in hey you didn't see it, so I'm telling you that you should look and shouldn't say SPCR never tests high CFM fans. You should read http://www.silentpcreview.com/article690-page1.html to understand why most fans will sound the same. http://www.silentpcreview.com/article739-page1.html and http://www.silentpcreview.com/article695-page1.html give you reviews of several high CFM fans. You have Scythe and Papst selling two unrelated fans that both do basically 70CFM at 30dBA. The difference between the two at 12v is within margin of error at testing and manufacturing variance. You could buy a Yate Loon D12SM-12 that puts out 70CFM and expect it to be within 1 or 2 dBA at the same 70CFM level. There are only two fans I know of worth mentioning off the top of my head that don't fit that dBA to CFM profile. The Scythe Slipstream and the fans from Noctua. Even then they are no magic bullets. 70CFM isn't quiet no matter how you push or pull it. Noctuas first fans didn't do well in high pressure situations and since you haven't answered the question about your case I wouldn't consider recommending them to you if you have airflow problems. Oh and none of the Noctua fans do the CFM you are looking for. I'm not sure why you put the 88cfm slipstream in. The clear choice to me would be the 69CFM slipstream or the even cheaper Yate Loon. But hey it's your PC do what you think is right. Scythe claim 1600rpm [email protected]?? Again, thank you for your replies. Hey, I never said that SPCR never tests high CFM fans, I was merely asking if anyone knew about this issue! Please read my first post above. I do not believe that the companies lie, I really am more inclined to think that they have testing procedures which differ from the one that SPCR uses and that most likely are consistent (I mean, for all of the fans of a given manufacturer). In this sense the data posted by SPCR is important because it will compare fans from different manufacturers employing a unified methodology. My original Adda fan was rated as 80cfm and since I didn't design the power supply I really didn't and will not dare to exchange it for anything rated below this. Anything that says 70cfm for example is out, that would be more than 10% off. I paid $9 plus shipping for the Scythe Slipstream SY1225SL12H (I didn't have to pay taxes this time), so I am happy. And it is quite silent, which corroborates xan_user's and your (generic Slipstream) recommendations, even though I have no measurements for it. IMHO, the procedure of throwing out whatever fan is in a given power supply replacing it with a properly dimensioned Scythe Slipstream or equivalent is an essential step for achieving silent PC operation. I do not understand why someone should worry about silent fans all over a PC if the power supply fan is so loud that you could go deaf. My case is a black-and-white Maxxtro Capricorn, which has really has no particularly distinctive property. I picked it out, quite a few years ago, simply because it was the only one in the store that didn't look terribly horrendous. I used it through several generations of motherboard (I can't recall how many). I will try to get an Antec P182 as soon as possible (meaning many months) but as of now I have to deal with what I have and I think that probably it is as good as it gets.